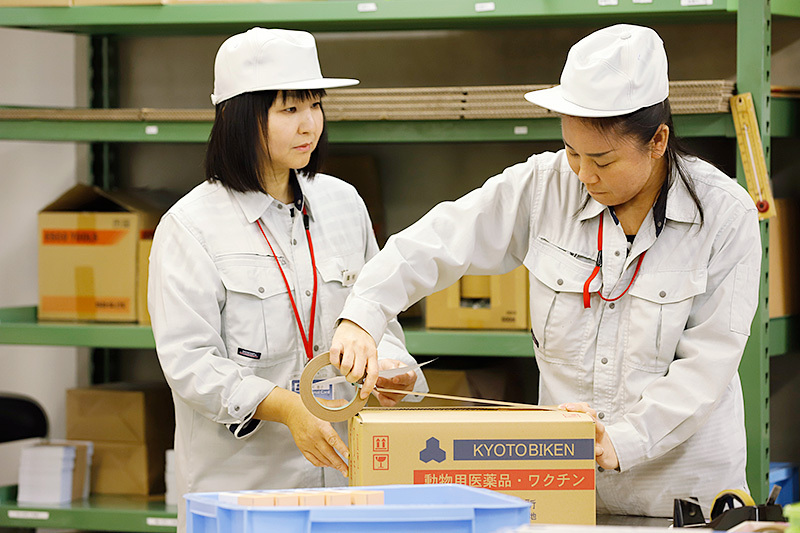 About KYOTOBIKEN | What We Do | Kyoto Biken Laboratories, Inc.
KYOTOBIKEN delivers reliable products via our responsible and integrated operational flow of processes, from R&D through manufacturing to marketing. We are committed to supporting those who care about and work for animal health ― including livestock farmers and organizations and individuals engaged in the field of veterinary medicine. In order to realize that commitment, we implement the following five initiatives. 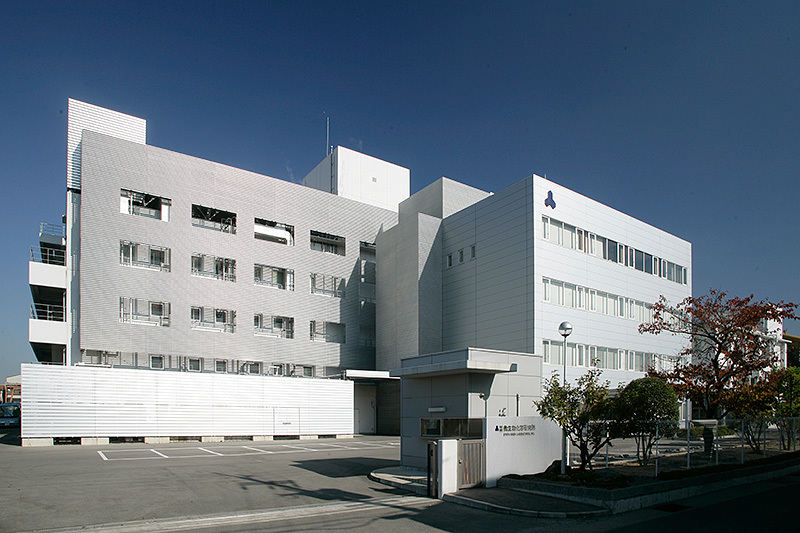 KYOTOBIKEN seamlessly integrates all aspects of the vaccine business ― from R&D through manufacturing to marketing. With everything performed in-house, the outcome is efficient sharing among divisions, enabling immediate understanding of the statuses of development progress and workflow, customer feedback, issues and all other pieces of the puzzle. Integrated quality control leads to day-by-day improvements, which ultimately contributes to quality enhancement. 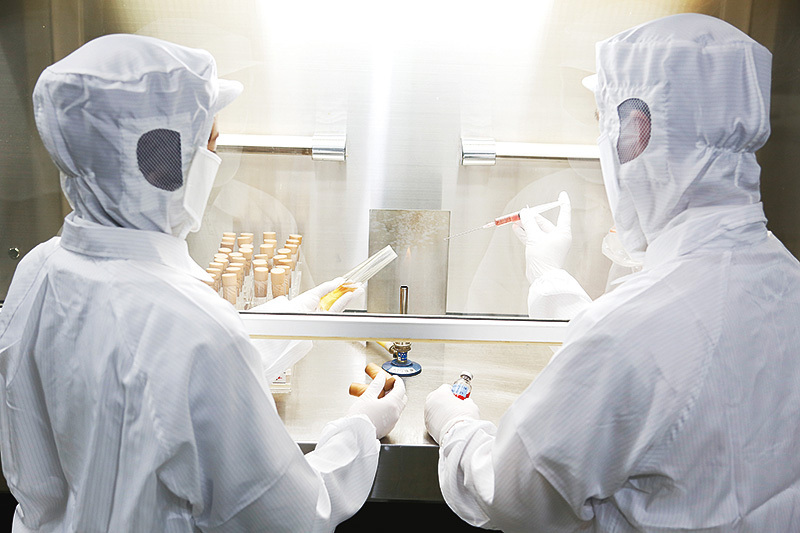 Specialists in each field are working on basic research and development of animal vaccines in order to respond to public demand. 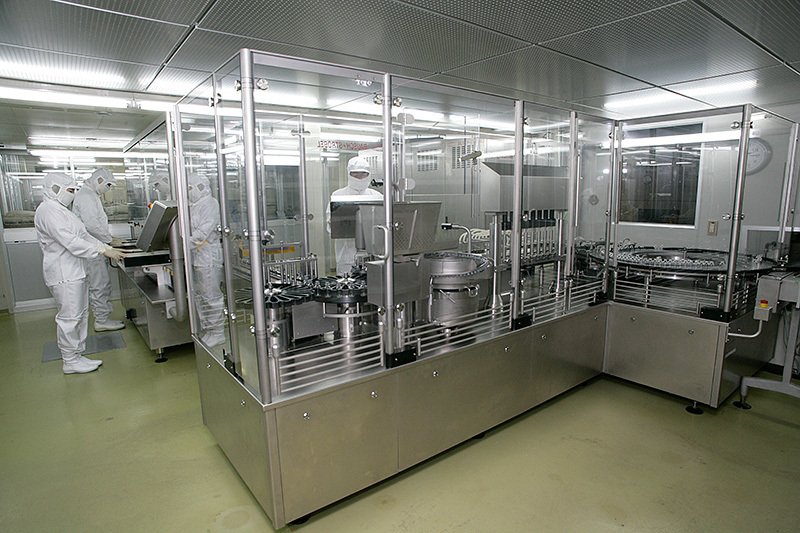 All products are manufactured on the most advanced production lines which comply with GMP regulations. Only products that have passed stringent tests in accordance with our quality management standards are permitted to be delivered to market. During the packaging process, all products are re-checked before being shipped under optimal storage conditions. In order to receive input and feedback from customers and respond to their inquiries and needs, we offer seminars and training workshops, together with up-to-date technical information. 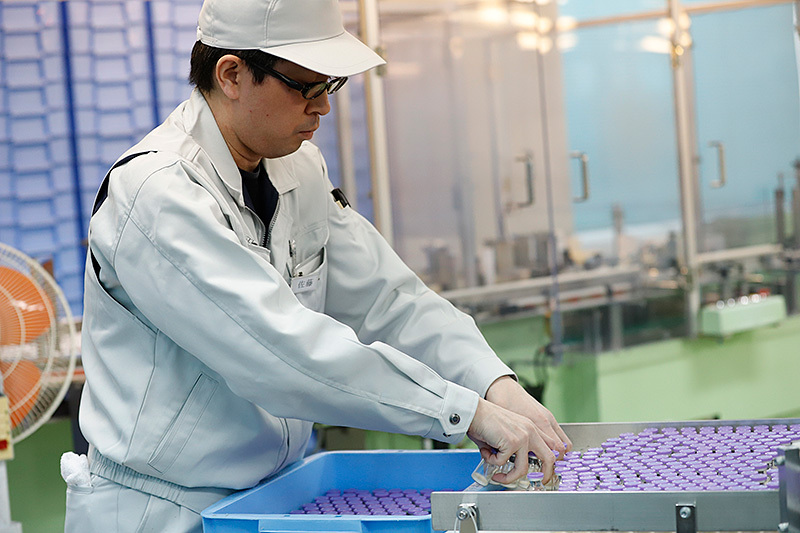 This section carries out inspections in the course of R&D, manufacturing, marketing, and post-marketing surveillance processes, and makes suggestions to customers about vaccination programs, based on results of investigations into disease-causing agents. KYOTOBIKEN stresses the value of visiting farms and other sites where animals and people are congregated. Therein lies the true strength of our vaccines. We place priority on direct interface with animals and those who care for them. Venturing into the field as often as possible, listening to the people there, and utilizing such information for R&D ― that is our commitment to providing customers with the products they are seeking. For human health, preventive medicines to control not only human diseases but also animal diseases are vital due to the existence of zoonotic diseases. However, spread of diseases in animals due to various viruses and bacteria is a threat to human life. Today, there is an urgent need to conduct R&D aimed at tackling such threats. 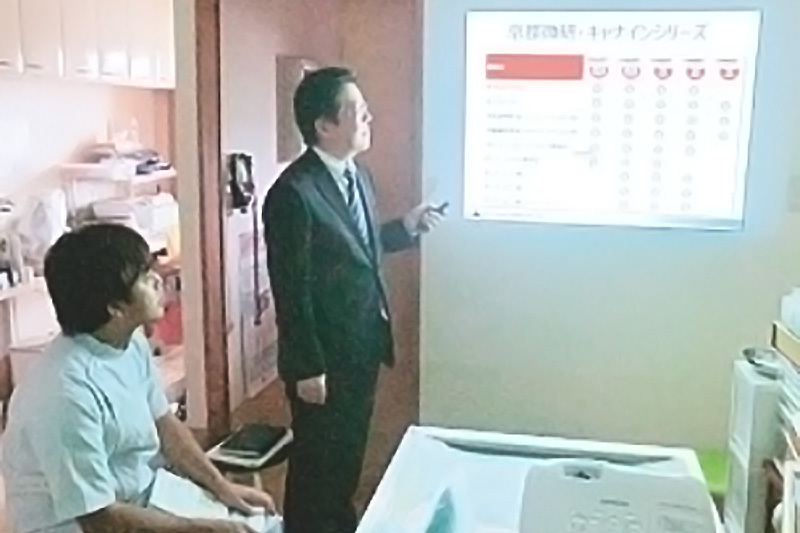 In the field of animal health, KYOTOBIKEN conducts R&D in light of trends both in Japan and overseas. Our approach is broad-based, ranging from fundamental research through development of new products and patent applications. By integrating the experience we have gained since our founding in 1948 with cutting-edge technologies, we aim to develop products which are trusted by our customers. KYOTOBIKEN places paramount importance on contributing to society through development of new products and by publishing research findings. KYOTOBIKEN manufactures vaccines in clean environments that are fully compliant with the GMP standard for veterinary biological products. All products are subjected to rigorous examination by the sections in charge of quality control and quality assurance. 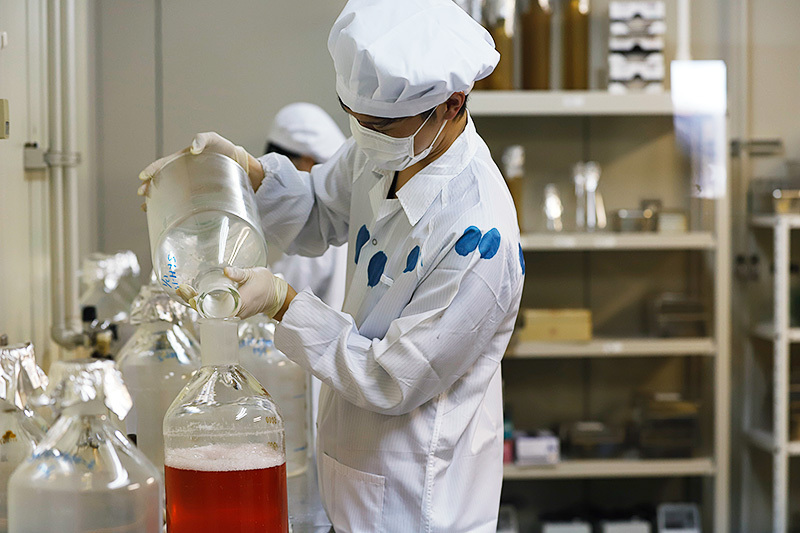 In accordance with quality control standards based on GMP and Ministerial Ordinances, our process management is carried out by inspecting not only finished products but also ingredients, raw materials, and intermediate products. The quality of our vaccines is controlled by means of a seed lot system. All vaccines that have passed our in-house testing are packed in cartons marked with lot numbers and expiry dates. Our Animal Disease Inspection Section evaluates vaccine efficacy through inspection of field samples collected from vaccinated animals. 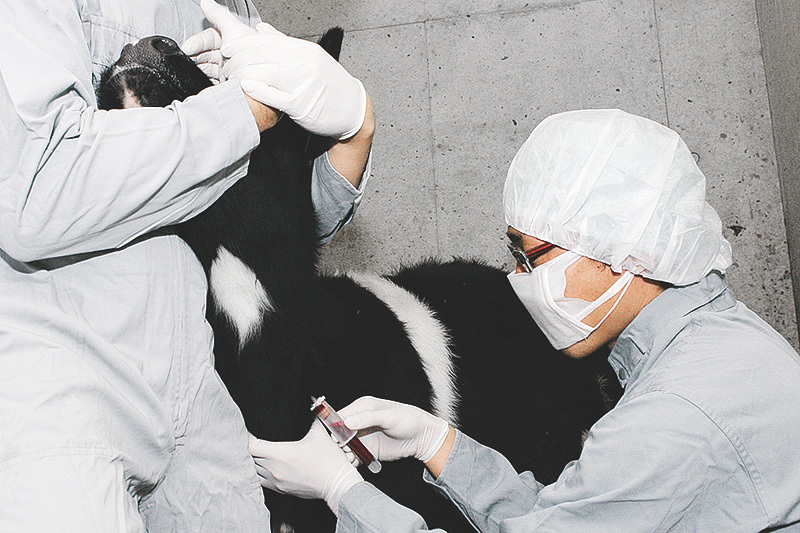 We analyze the results to determine whether the animals have been properly immunized, if additional vaccination is required, or if another approach is called for. 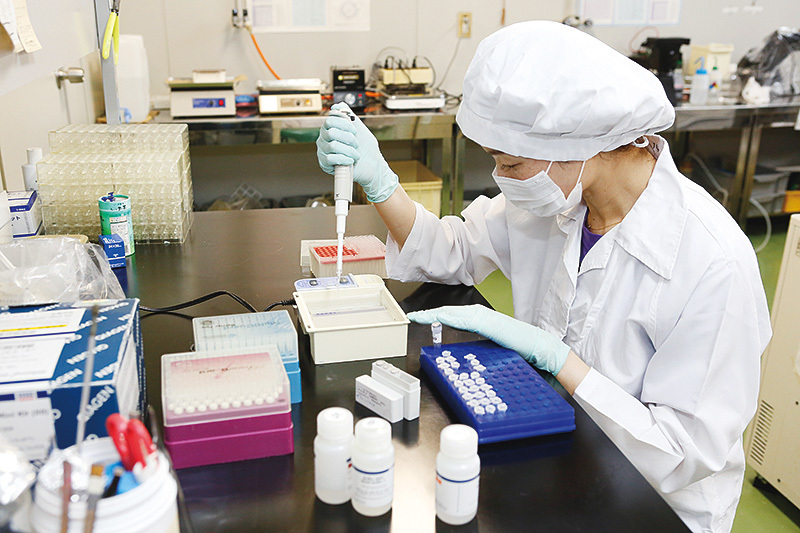 Our customers appreciate our professional advice based on the test results obtained through measurement of antibody titer, isolation of pathogens, genetic testing, etc. Test results and customer feedback obtained from those processes are sent to the R&D section, and utilized for improvement of existing products and development of new lines.